Facebook has announced a few updates to their ad metrics including a replacement of the relevance score. The relevance score, as it is, will be available until April 30. What Is A Relevance Score? The Facebook relevance score is an important indicator of how well your ads are relevant to your target audience when compared to your competitors. Having a higher relevance score can lower your costs per click for displaying an ad to your target audience. Facebook launched the ad relevance score back in 2015 to help provide advertisers with more insight into their ad set performance. 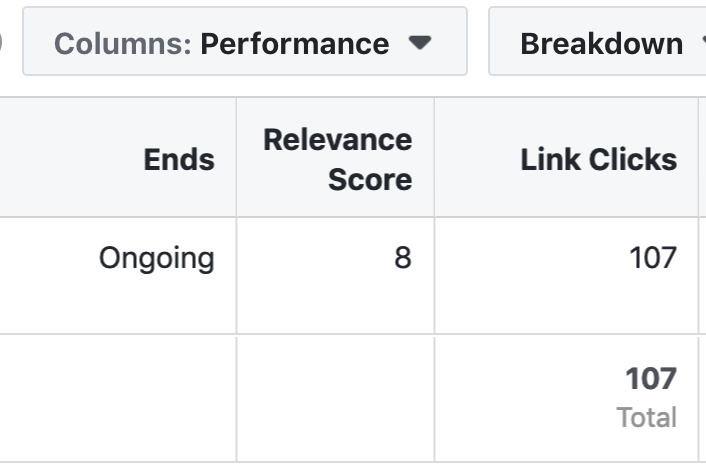 In the next couple of weeks, Facebook will be replacing the relevance score as we know it with 3 more granular ad relevance diagnostics metrics. Which will offer a better level of granularity that makes reporting more accurate and actionable. These new metrics provide more detail to a more specific focus on each element of your ads. This will help marketers or advertisers improve and better understand their overall campaign performance. The new Facebook metrics should also help advertisers have better audience engagement, brand awareness, and help drive ad cost down. This will measure the quality of your ad in comparison to the other ads competing for the same audience. When your quality ranking is down, means that your competitors are creating better ads. This measures the expected level of engagement your ad will drive compared with ads competing for the same audience. This will measure how the ad's expected conversion rate compared with ads that had the same optimization goal and competed for the same target audience. Facebooks new ad metrics can help benefit advertisers, provide better insights, and improve your overall ad performance. When Facebook adds new tools, it helps businesses generate better results. Staying up to date with new metrics can really help your business grow. We hope this blog was helpful and if you need any more help then reach out to or join our DM Impact community. You can learn new tactics and also have a mentor right beside you to keep you up to date on all of the new changes and help you get the results you need!